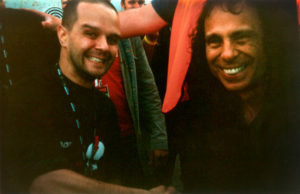 Just a cool shot of when I shook hands with Ronnie James Dio in 2003. I play bass in Cosmo Jones Beat Machine since 2006. I might be travelin as FOH sound guy with Cleaning Women and/or Jaakko Laitinen & Väärä Raha. I am half of Black Bikini, making underwater soundscapes with Kuupuu Jonna. I am half of SM/DP, making spectrogranular insekt elektronix with Marko Suorsa. I make electroacoustic / tape music with Jaakko Vanhala in our duo Häkki. I play in Nunnauuni, which is a double junk percussion improv slapstick unit with Jaakko Tolvi. 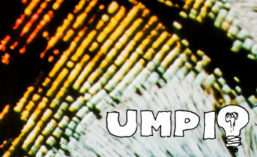 I play in Umpituomio, which is a double junk percussion improv unit with Janne Tuomi. I am half of The Kali Ensemble, which is a mail collab industrial noise unit with Michael Page. The Country Dark & Paul Staufenbiel — Used to be human!! Mixed here, now with relaxin vidio! !